A beautiful sight in early spring is the Pacific dogwood (Cornus nuttalli) growing as an understory in partially shaded locations in its natural forest environment. The tiny greenish, white flowers are found in dense, rounded flowerheads surrounded by large white bracts, not “petals” as is commonly thought. Also called western, mountain or California dogwood, this Pacific dogwood was photographed along the Klamath River about ten miles west of I-5 in California. 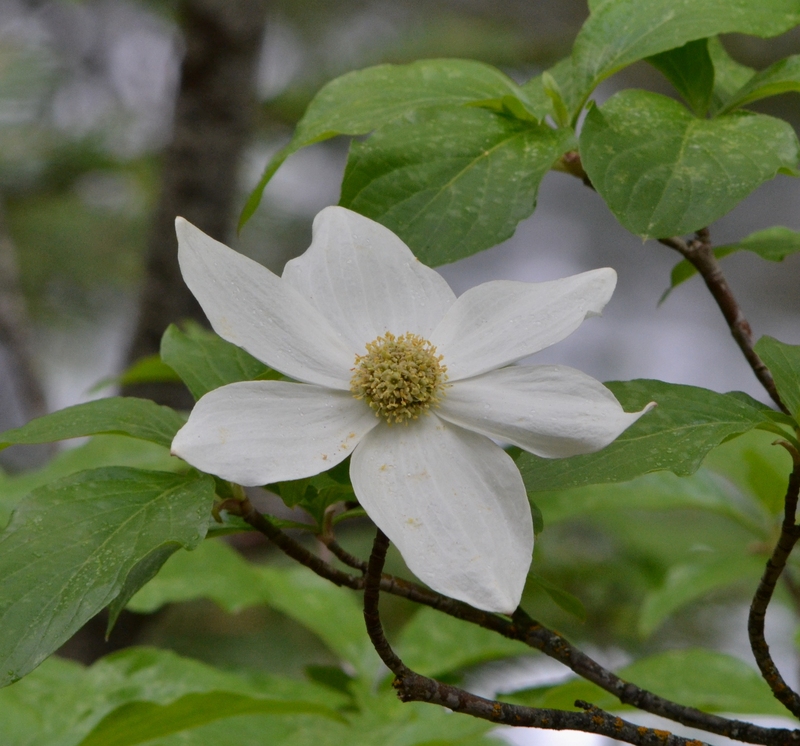 This entry was posted in Shrubs, Trees and tagged California dogwood, Cornus nuttalli, mountain dogwood, nature photography, Pacific dogwood, western dogwood. Bookmark the permalink.